set apart. The former master bedroom was split into a sitting room and an expanded master closet. The space between the new dividing wall and the existing bathroom wall created a perfect alcove for a vanity, naturally separated from the hanging space surrounding the center island. sparkle density. 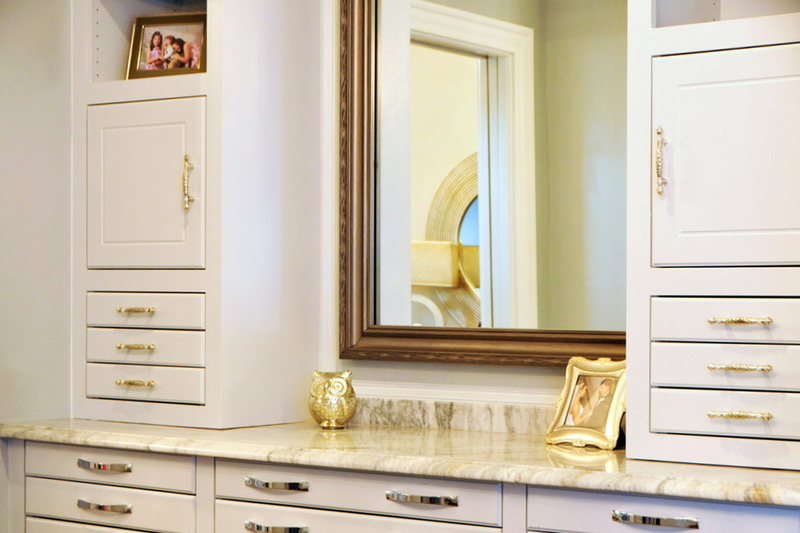 The space around a vanity is as precious as the treasure contained within. Jewelry needs to be visible, accessible, and organized: easy to grab and easy to return. 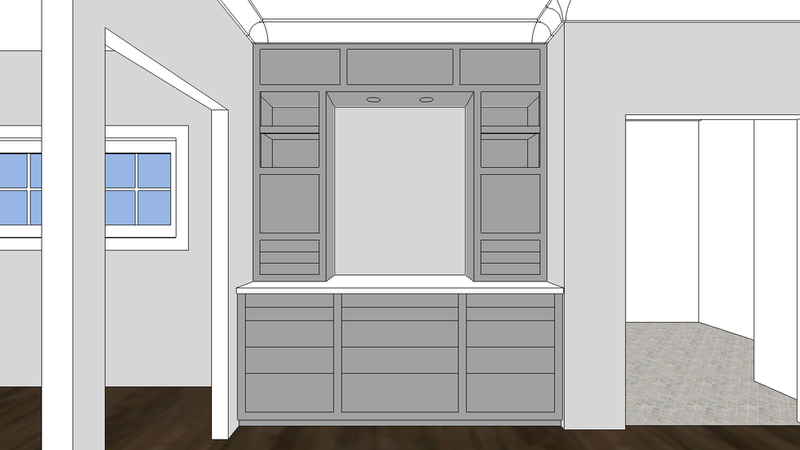 Maximizing capacity, shallow divided drawers sit centered just below the countertop and to either side just above it. Sliding necklace racks, hidden behind twin doors, pull out on either side of the mirror. bling begets bling. 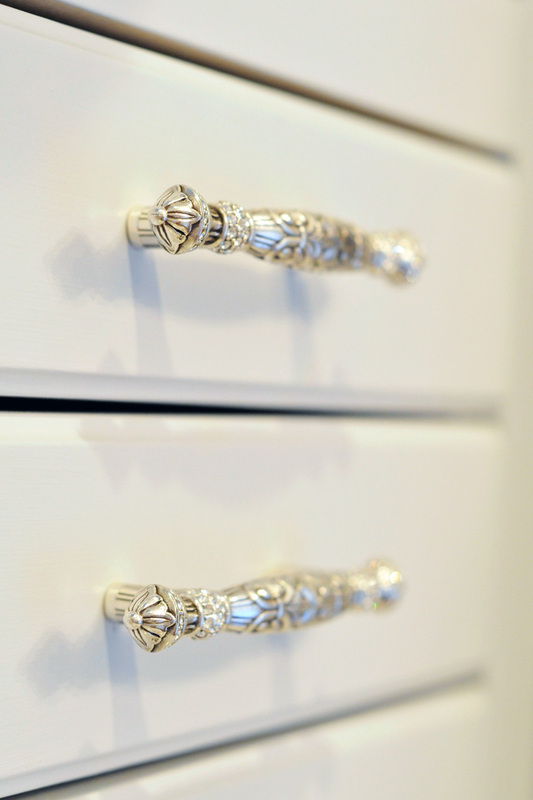 A cabinet for jewelry deserves its own gems. 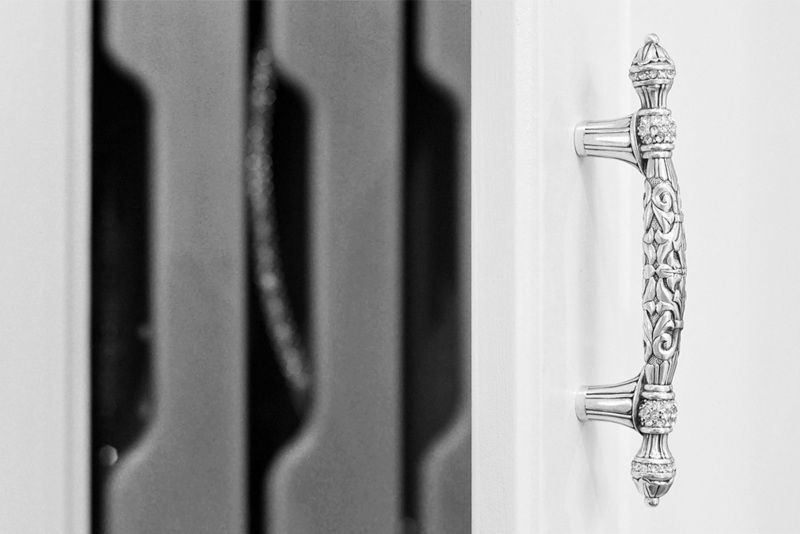 Swarovski Crystal-studded handles provide access to the precious contents behind. The vanity's marble countertop seems to have had glitter imbued in its metamorphic transformation, glinting light from the closet's center island chandelier.